The villa is on one level and comprises a double bedroom, room with two beds + 1 extra, bathroom, open-plan area with living room, kitchen and dining room. A unique place where you can relax in peace. A corner of unforgettable paradise. Wake up in the morning and admire the colors ranging from 'blue to blue sky or a thousand shades of green of the mountains is definitely a magnificent backdrop. Designated place for lovers of nature, long walks and excursions to the "Cave of Cuttunaru" with d 'unique waterfalls and courses of their kind. • 5 minutes from Caltabellotta described by tourists as a country-crib, unique, rich in history and legends, famous also for peace of 1302 between the Angevins and Aragonese. • 15 minutes from the beautiful town of Sciacca famous for its sea and ceramics. • 40 minutes from the famous Valley of the Temples in Agrigento. • 20-30 minutes from the nature reserve of Torre Salsa, Borgo Bonsignore and the famous staircase of the Turks. Accueil très chaleureux des propriétaires, maison très agréable, on s'y sent comme chez soi. Propice à la détente, très jolies plages dans les alentours. 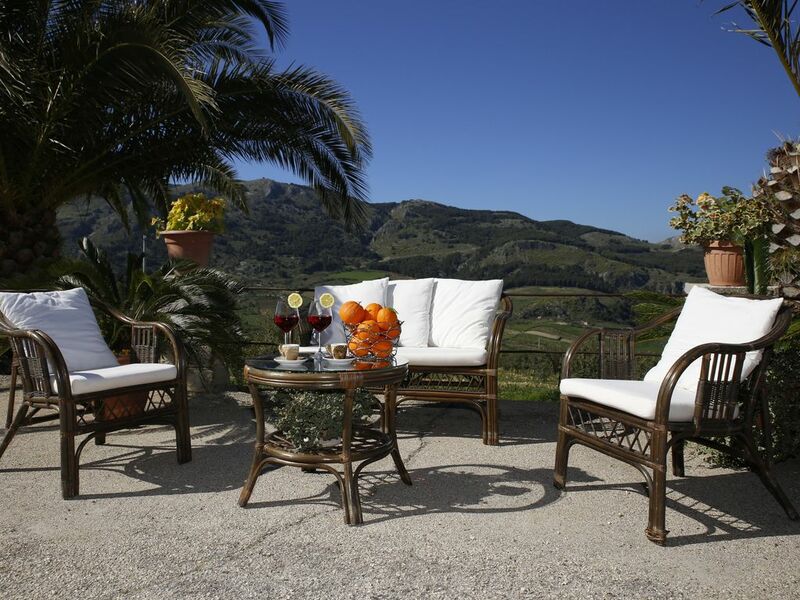 The villa is a great place for those who are seaking a quiet vacation in a lovely landscape. The well equipped villa is situated in a remote and lovely landscape, where you can take lonely walks in the hills. Our hosts gave us a very warm and cordial welcome and were exceptionally helpful. Très bonne location et propriétaires très accueillants et sympathiques. Très belle maison . Très belle maison conforme à la description de l'annonce. Lieu de paix et relaxation . propriétaire très gentil , bel environnement au milieu des oliviers ,seul petit problème un peu éloigné des premières attractions. nous conseillons vivement cette location.